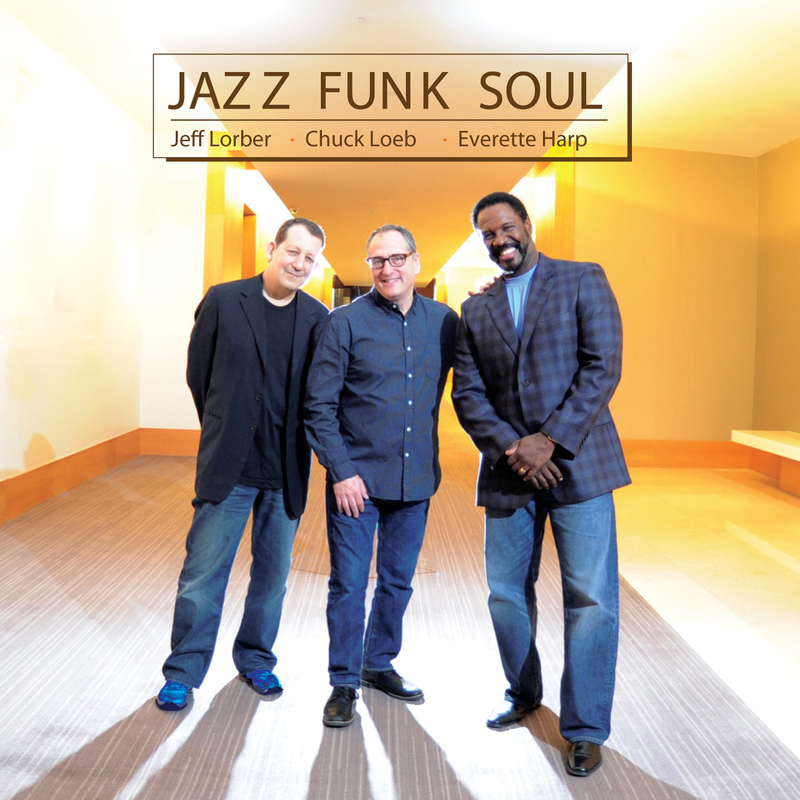 Recently, I had the distinct pleasure of interviewing three heavyweights in the genres of contemporary jazz, smooth jazz, and R&B. While each genre isn’t solely associated one to each musician, they all shine in those areas (their expansive musical careers attribute to that). Jeff Lorber, Chuck Loeb, and Everette Harp make up the band, Jazz Funk Soul. They released their self-titled CD on 24 June 2014 and it is superb. Each track not only brings the individual talents of each musician, but collectively creates an exciting blend of contemporary and smooth jazz elements. The session musicians that join them are heavy weights in their own right and are known as powerhouses in the NYC area. While I already have a few favorites on this tracklist, I encourage your take a listen for yourself, I’m sure you’ll gain a few if these genres are favorites of yours. That said, take a listen to (stream or download) the interview below. I hope that you enjoy it – there’s a few audio issues outside of my control but…. 🙂 . For tour dates, check out the Shanachie Records Tour Schedule on their website, and for more on Jazz Funk Soul.